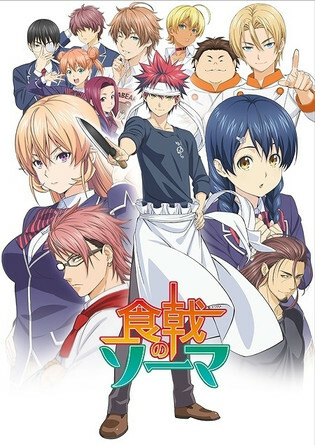 This weekend I decided to watch Food Wars, an anime based on the manga of the same name written by Yuto Tsukuda. 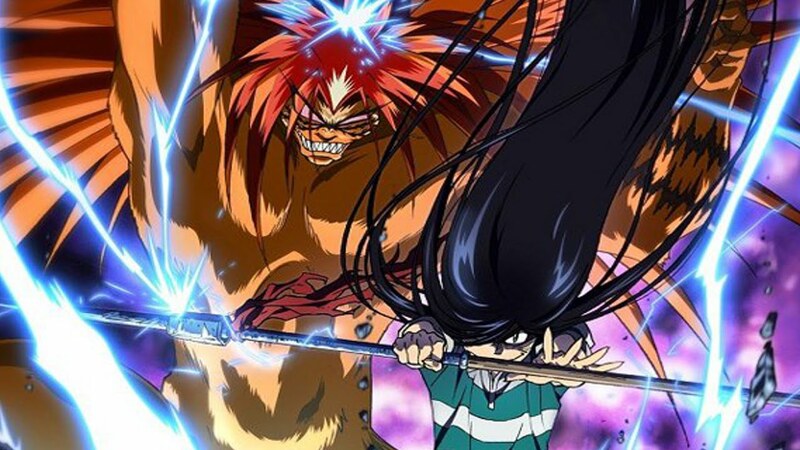 The anime is directed by Yoshitomo Yonetani and ran through the J.C. Staff Studio. Spoilers: Minor to no Spoilers throughout. Plot: The plot is very simple. Soma, a young fifteen year old, is the second chef at a diner of two chefs. It is his dad’s diner and they have a father-son rivalry. It is lead on that his dad is a world class chef, but Soma says he does not know much of his dad’s history as a chef. Towards the end of episode one, his dad tells him he is shutting down the diner to go stay with a friend and is shipping Soma off to culinary school. His dad tells him if he cant make it here, he wont have a chance of surpassing him. And thus, were off. Soma hopes to be the be the number one chef at a school full of kids who think money and school will make them the top chef. Setting: The setting is one of the top culinary schools in the world, Totsuki. If you graduate here, youre almost guaranteed a gig as a chef. It is layered like a regular school, there is their equivalent of middle and high school(Soma went to a formal middle school, so he comments it as interfering with his food studies). Most of the kids here lack what Soma brings, serving actually customers, or as the kids call it “serving on the first line of cooking”. At this school there is a council that is second in command only to the the head of the school himself. This council decides on pressing matters like where the budget is spent. None of the teachers are allowed to challenge the councils rule. The kids on the council are the schools top ten chefs. (At this point in the series weve only been introduced to two). You can challenge their ruling by challenging them to a Shokugeki, which is normally one on one chef-offs. Theyre really entertaining and most of the drama centers around these events. Characters: Probably my favorite part of this Anime are the characters. When I first started watching, I wasnt expecting to get attached to any of them, by the sixth or so episode I was really into them. My favorite without a doubt so far is Soma. He falls into the cliche “I want to be the best” stereotype of anime characters, but it works because he is not really the most interesting character but is one of the few likable ones so you want him to win. Plus, he is a chef. This is his life goal. It makes sense he would want to be the best. Cooking is his art, so I am all for him being super hyped to be the best chef. The first few episodes fall into a repetitive trap of using the same formula. A character doubts Soma and he uses his awesome cooking powers to beat them. Most of the villains are not likeable, such Nakiri or Mito. But as the series go on some the rivals become some of the cooler characters, such as Takumi or Shinomiya who are foils of Soma to a degree. Pros: I watched it for two reasons. First, I wanted a change of pace from the beat em ups I have been watching. Second, I thought it would be funny to watch sense I am hopeless at making stuff outside of a pb&j sandwich or a bowl of cereal. But what I found was a truly hilarious and priceless anime. Soma is one of my favorite main characters I have seen in an anime. It replaces fighting scenes with cook offs and has very interesting characters as well as solid humor. A really cool bonus, is if you are someone like me who doesnt know the first thing about cooking, the show breaks everything down for you, explains why some foods go together, what the affects of foods are, etc. I found this awesome and handy! Plus the manga, Ive heard, includes the recipes they use in the series. Pretty cool. Con: We couldnt go this whole review without talking about fan service. It’s there, and theres a bunch of it. I read comments and it seems the extremeness of it did make it uneasy to watch for many. I, myself, found it weird at first because it seemed all over the place. Just be prepared when people eat good food. Though these intense scenes are used to show how powerful food is on the senses, it might make some of the conservative watchers uncomfortable. Fret not, it calms down later on but I’d be lying if I said it went away entirely. Score: 8.75. Short reason why: You ever watched an anime that was so good you transformed into a cabbage-like superhero?! This series is awesome and oddly poetic at times. Definitely go see for yourself because there is a lot more I wanted to say but could not quite put into words. Top Five Summer Animes I am Looking Forward To! With summer animes starting as early as next week, it is time to see what I am most looking forward to! Whether you like DBZ or think Dragon Ball needs another series is a topic for a later debate. I would be lying though if I said I was not going to at least check it out. The series will start out after the Majin Buu saga, and stars the original characters, so I think it will be exciting at least. 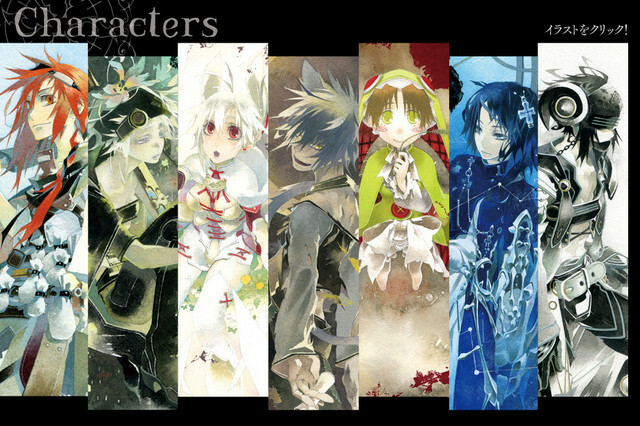 The story follows six heroes who are deemed the six heroes of the flower. They all agree to meet up together only it seems seven have arrived. They assume the villain is the seventh member and now they must figure out who is really the fraud member. I have never read the light novel it is based off of, so I might have the wrong idea of where the series will go. But based off the description Im definitely willing to give it a few watches and see where it goes. 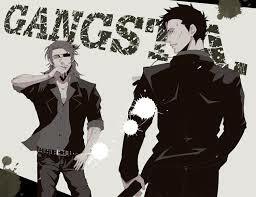 Gangsta sounds like an amine I could get caught up in. The town is ruled by four rival gangs. There are also people with super speed and super strength known as twilights. The two main characters do jobs no else wants and that’s when things get a little tricky. A cop ask for help handling a new gang that is starting trouble. 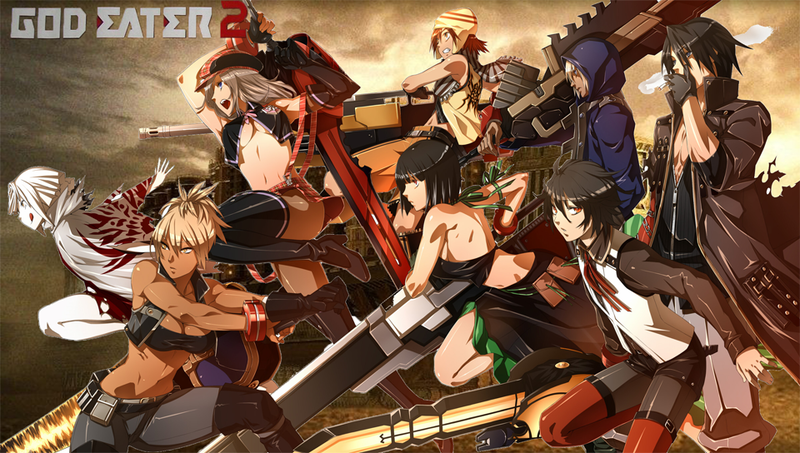 This seems like a great action anime to get wrapped up in. A boy doesn’t believe his dad when his dad tells him he sealed a demon by stabbing him with a spear and that the demon is now in their basement. When the boy finds his family and friends are in danger by spirits, he unlocks the demon. Now we will see their relationship develop and rather unleashing him was the right thing to do. Honorable Mentions- Gate and Charlotte. Two animes that I might give a watch but did not quite crack the list. Another “Humans are going extinct and must go into hiding and play defense for a long time when a new species named “Oracle seeds” begin adapting and taking out humanity” kind of story, and I am totally digging the sound of it. Our typical weapons do not work. Later on, we develop new weapons known as God arcs. With this, an elite force is formed and plan to take back the fight.I have been waiting on this one for a little while now so I am pumped for it to air already. This summer should have more than a few animes for everyone to enjoy. These are just the ones I am looking forward to. Comment the ones you guys cant wait to spend the next months getting attached to! I went to the book store last week and picked out a few mangas. The first one was Deadman Wonderland Vol 1. This book is written by Jinsei Kataoka and illustrated by Kazuma Kondou. Vol 1 was released in Japan in 2007 and came to the states in 2010. Plot: Ten years ago an earthquake hit japan and sank about one third of the mainland. There is only one prison left in area and it is know as Deadman Wonderland, a very fitting title. The main story starts with Ganta, the main character, in school with his friends. Ganta looks out to see a figure and then suddenly the figure appears in the room. The figure, named the Red Man, kills everyone except Ganta. He shoots him with a red crystal. When Ganta looks around he smells blood and sees everyone of his classmates dead. He is the sole surviver. He than is sentenced to Deadman Wonderland on Death Row. Which we find, technically everyone there is on death row but I will explain that later. Upon arriving to the prison Ganta slowly learns the twisted rules DW has. He also learns that he must compete in intense life or death challenges to earn CPs, the currency here. He meets too fellow Deadmen, Shiro and Yo. There is a link between Shiro and Ganta. They were friends when they were little, but outside of maybe two brief flashbacks, this substory line has not been developed yet. The red crystal seems to give Ganta powers to launch projectiles when he feels his life is endanger. Setting: The setting so far has been my favorite part of the series. The prison uses the money it raises to help rebuild Japan. All the prisoners have a lethal poison in them which they must eat a piece of candy to neutralize. The candy has the antidote in it. The candy is sold at high prices throughout the prison. So if they want to live, they must compete in challenges to earn CP. Ganta gets a taste of one of the events, the dog race, which forces the players to try to make it to the end of the race alive. I am really looking forward to learning all the ends and out of the prisons as well as seeing all the challenges it holds. Characters: I like most of the characters so far. Ganta is pretty cool and is only getting cooler as the series goes on. Shiro is a nice mystery that I cant wait to see explored. Yo is not my favorite character and hasnt done too much, but Vol 1 ends with me believing he will play a much bigger role for later Vols. Some other characters worth mentioning are Makina, a the chief guard of DW, she is pretty legit. Score: I am giving vol 1 an 8. It did what I want a manga to do, not make me want to put it down. You will really pull for Ganta who is making the best of his situation and you will be dying to learn more about the characters and the prison itself. It definitely has me ready to go buy vol 2. I recommend giving it a try and seeing if you like it too.